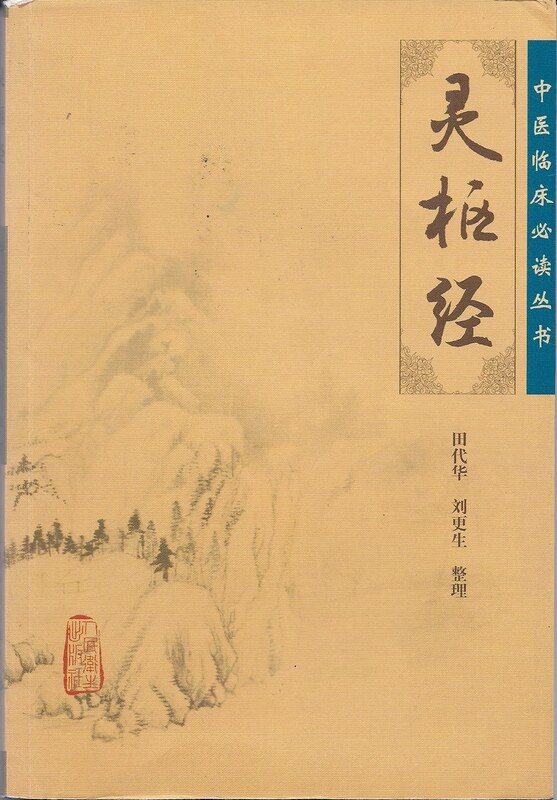 Chapter 8 of the Ling Shu (entitled Ben Shen 本 神) is quoted very frequently, especially its famous opening sentence. I would like to comment briefly on that sentence and propose a different translation of it. I propose an alternative translation with two important differences. Firstly, the text uses the word ci which means “to needle”, not “to treat”. If the text had meant to use the term “to treat”, it would have used the word zhi 治which does occur a lot in both the Su Wen and the Ling Shu. Thus, the first difference is that the first half of the sentence is “when needling” rather than “when treating”: this is an extremely important difference. There are many passages in both the Ling Shu and Su Wen that stress the importance of concentrating one’s mind when needling. Indeed, chapter 25 of the Su Wen contains a sentence that is almost exactly the same as the opening sentence of the famous chapter 8 of the Ling Shu. In fact, chapter 25 of the Su Wen contains this sentence: “fan ci zhi zhen, bi xian zhi shen” [凡 刺 之 真， 必 先 治 神]. I would translate this so: “For reliable needling, one must first control one’s mind [shen].” Note the rhyming of “zhen” with “shen”. The English translation of the Su Wen by Li Zhao Guo simply translates this sentence as “The key point for acupuncture is to pay full attention.”1 This interpretation is corroborated by the other paragraphs in that chapter which give advice as to how to practise needling. In fact, it says that the acupuncturist should not be distracted by people around or by any noise. The central point that stems from an analysis of the famous opening sentence of chapter 8 of the Ling Shu is how to translate the word “Shen”: in my opinion, the word “Shen” can have many different meanings and only one of them is “Spirit”. Another translation of “Shen” is that of “Mind” which, in my opinion is appropriate in many contexts. The next step of this investigation would be to define the nature of “Shen” (Mind or Spirit) in Chinese medicine and how that relates to the ancient Greek or Christian concepts of “Spirit” but this would require a very long enquiry that is beyond the scope of this short piece.